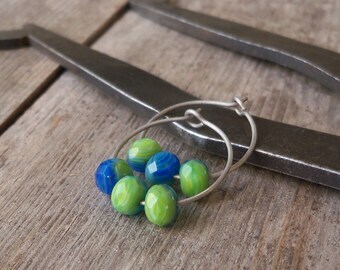 These hoop earrings are made with pure, grade 1 titanium wire. Titanium is a matte gray metal. It is a very strong wire and hypoallergenic. This is for a listing of one pair of hoops. You choose the size. I file the ends for comfort. 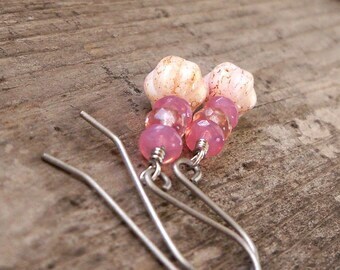 These are so light you will forget you are wearing earrings! Titanium is a pure metal, not an alloy. This means there is no nickel, lead or copper (or other metals) mixed with it. It is considered allergy free or non-allergenic. It is non-reactive, meaning it won't rust or tarnish over time. It is also very strong. 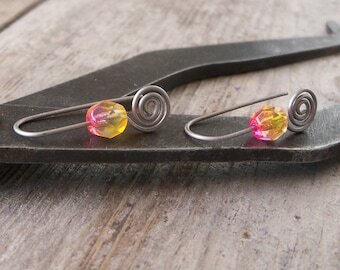 I have had several people test this wire for me, many of them could not wear any earrings without having problems with their ears. These earrings did not cause any reaction at all. 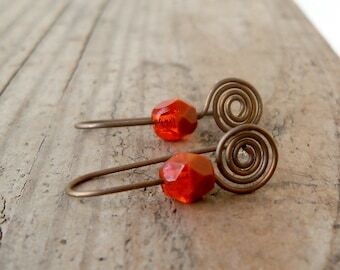 "These are great earrings for people with sensitive skin. I haven't worn regular earrings in years due to a nickel sensitivity, but I have not had a pair like these before--whisper light and so gentle I forgot I had them in, even after wearing them a full day. I am so glad I got a chance to be a tester for these, and highly recommend them." Very happy with my purchase! I haven’t been able to wear earrings in years due to new sensitivities. 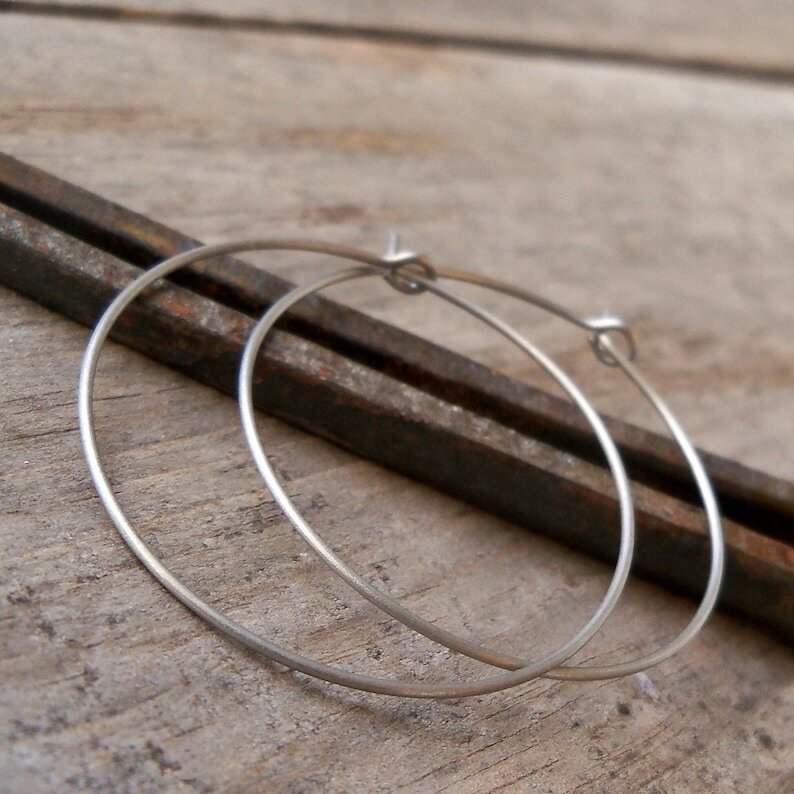 The titanium hoops are perfect! Lightweight and, so far, no issues at all! Will definitely order more! Just what I was looking for. Prompt shipping.